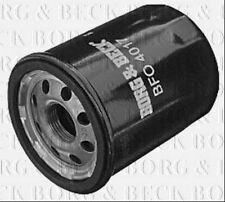 BFO4017 BORG & BECK OIL FILTER fits Fiat NEW O.E SPEC with 1 YEAR WARRANTY! FIAT 55223416 71754237 71754675 71754721. LANCIA MUSA (350) 1.6 D Multijet MPV Diesel 07/2008 on FWD 16 120 88. LANCIA MUSA (350) 1.6 D Multijet MPV Diesel 07/2008 on FWD 16 116 85. Function Oil Filter. Engine Components. Length [mm]::Screw-on Filter. We will always attempt to rectify the issue as fast as possible! We just want you and your car to be happy! Eg, Vetech, Erst Klassig, Franzen, NK, etc. Engine Components. We will always attempt to rectify the issue as fast as possible! Branches Nationwide. Eg, Vetech, Erst Klassig, Franzen, NK, etc. With this in mind, we will indicate what type of product you are looking at within the following guidelines. It's vital that your filter is kept clean, as a clogged filter can quickly prevent your engine form being properly lubricated. and we will be happy to help. A low restriction to oil flow is also critical to protecting vital engine parts. Trust Us, We've Been Doing This For Over 30 YearsQuickco is the UK's largest multi franchise car parts distributor! Type : Oil Filter. MOTOR OIL: 6 lt SELENIA WR 5W-40. LANCIA MUSA < span class = notranslate ' > 1.6 MULTIJET FROM 07/2008 85KW. Oil Filter. CUTTING KIT. WHAT IS INCLUDED IN THE KIT COUPON . Engine oil (6 lt). 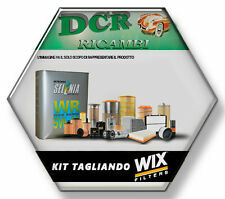 Wix filter he < span class = "notranslate" > products of the highest quality. 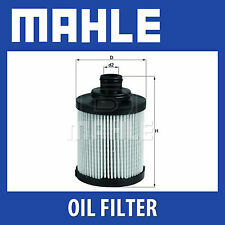 MAHLE Spin-on Oil Filter OC986. The response from Mahle: a fully synthetic two-layer fleece made of polyester, consisting of a support and a filtration layer. Mahle filters for passenger cars PDF (8MB). FIAT 55206816 55207208 55214974 55227315 71751114 71751127 71751128 71773178 77151128. CHRYSLER 55206816 55214974 71751114 71751127 71751128. LANCIA MUSA (350) 1.6 D Multijet MPV Diesel 07/2008 on FWD 16 116 85. MPN - EOF237. OIL FILTER. Application Info: Filter for vehicles with start/stop function. Height (mm): 100. 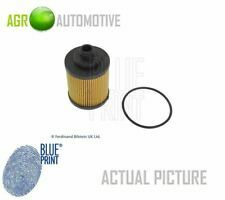 LANCIA MUSA 350 1.4 Oil Filter 04 to 12 7079782RMP ADL. LANCIA MUSA (350_) 1.4 LPG MPV Petrol/Petroleum Gas (LPG) 11/2010 09/2012 FWD 8 78 57. LANCIA MUSA (350_) 1.4 MPV Petrol 10/2004 09/2012 FWD 16 95 70. LANCIA MUSA 350 1.6D Oil Filter 08 to 12 TJ Filters. LANCIA MUSA (350_) 1.6 D Multijet MPV Diesel 07/2008 09/2012 FWD 16 120 88. LANCIA MUSA (350_) 1.6 D Multijet MPV Diesel 07/2008 09/2012 FWD 16 116 85. MPN - EOF221. OIL FILTER. Dscription: Oil Filter. Application Info: For vehicles without start-stop function. ======================. This is a high Quality Motaquip Oil Filter. Filter type: Spin on. Thread: M20x1.5. LANCIA MUSA (350_) 1.9 D Multijet MPV Diesel 10/2004 09/2012 FWD 8 101 74. LANCIA LYBRA SW (839_) 1.9 JTD Estate Diesel 05/2001 10/2005 FWD 8 116 85. LANCIA LYBRA SW (839_) 2.4 JTD Estate Diesel 05/2002 10/2005 FWD 10 150 110. Pour point D 97 °C -42. FIAT 55256470. FIAT 46544820. FIAT 46751179. FIAT 55230822. FIAT 71736161. FIAT 71765459. It is produced with the use of unique StahlSynt wear-out reducing technology. Oil Filter. Made In Japan. Photos are of actual item. MAHLE Spin-on Oil Filter OC458. The response from Mahle: a fully synthetic two-layer fleece made of polyester, consisting of a support and a filtration layer. Mahle filters for passenger cars PDF (8MB). FIAT 46544820, 46751179, 55230822, 55256470, 71736161, 71765459. LANCIA MUSA (350_) 1.4 LPG MPV Petrol/Petroleum Gas (LPG) 11/2010 09/2012 FWD 8 78 57. LANCIA MUSA (350_) 1.4 MPV Petrol 09/2005 09/2012 FWD 8 78 57. Part Numbers: 95516104, 93177787, 650190. Autovaux was established in 2001 and is recognised as The Number 1 Supplier for Genuine Vauxhall spares and O.E Quality parts for all car manufacturers with Vauxhall trained staff and the most up to date parts software available. Bosch Spark Plugs. Bosch Oxygen Sensors. Bosch Glow Plugs. Lucas Oxygen Sensor. Delphi Oxygen Sensors. Denso Oxygen Sensors. NTK NGK Oxygen Sensors. So make sure you insist on Bosch oil filters when replacing them in your car. It is produced with the use of unique StahlSynt wear-out reducing technology. It provides high degree of protection for new cars as well as for cars with big mileage. Prolongs periods between oil change. 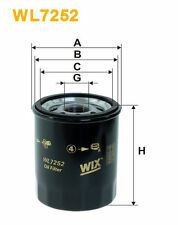 2x Oil Filters ADL142102 Blue Print. Part Number ADL142102. FIAT 46544820 46751179 55256470 71736161. LANCIA 46544820 71736161. CHRYSLER 55230822. CLEAN FILTERS DO 925/A, DO1823. Function Oil Filter. Cross references. Part Numbers: 95517669, 650220. Autovaux was established in 2001 and is recognised as The Number 1 Supplier for Genuine Vauxhall spares and O.E Quality parts for all car manufacturers with Vauxhall trained staff and the most up to date parts software available. So make sure you insist on Bosch oil filters when replacing them in your car.The consequences of a dirty filter Frequent cold starts lead to more condensation and a fuel surplus in the combustion mixture. 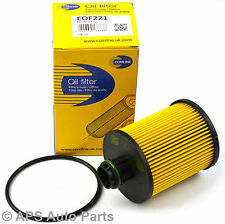 LANCIA MUSA 350 1.3D Oil Filter 04 to 12 TJ Filters 73500049. FIAT 73500049. LANCIA MUSA (350_) 1.3 D Multijet MPV Diesel 10/2004 09/2012 FWD 16 70 51. LANCIA MUSA (350_) 1.3 D Multijet MPV Diesel 09/2006 09/2012 FWD 16 90 66.